Thomas Jefferson expressed the sense of the Founders of the American Republic: “That whenever any Form of Government becomes destructive of these ends, it is the Right of the People to alter or to abolish it…” 2 The Constitution’s Article V reflects this principle, providing a mechanism to change the government short of armed rebellion. Article V establishes two methods of constitutional amendment. One, congressional initiation of amendments, has been employed 27 times. The never used second method empowers the states3 to bypass Congress and initiate an amendment convention. Article V provides power to the states and the people, as the creators of the federal government, to alter that government by convening an Article V Convention. Few Americans know they possess this power. Educating Americans of their power is a worthy goal. Education wrapped in entertainment is often an effective way to convey a message. 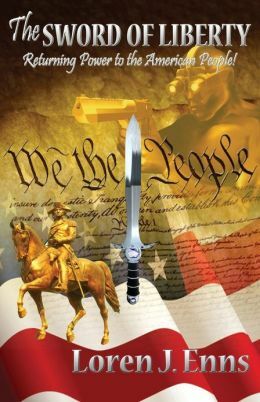 In The Sword of Liberty, author Loren J. Enns brings us a hero, John Laurens, in the mold of Tom Clancy’s Jack Ryan, Clive Cussler’s Dirk Pitt and Randy Wayne White’s Doc Ford. In telling Major Laurens’ story, Enns communicates valuable history and the possibilities of an Article V Convention. Special Operative Major John Laurens’ story is adventure with a message. While risking his life for America, Major Laurens has nagging questions about the direction of his country. 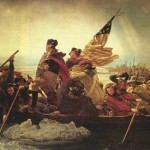 Like many Americans he has an uneasy feeling about its leadership and commitment to liberty. He has a sense that the United States has drifted far from its founding principles. Like many with that feeling, he ponders what can be done. Where are the leaders? Is there a map to correct the course? Through the millennia heroes have arisen answering freedom and liberty’s call. Human struggles for freedom have recurred through history. Liberty’s victories have never been permanent. It is either taken or following generations removed from the struggle have allowed it to slip away. While the victories have not been permanent, the human desire to be free is never extinguished. Major Laurens learns the lessons of history while he battles external threats to the United States. He learns that liberty’s sword must periodically be unsheathed to support humanity’s march to freedom. It has always been the case from Ancient Troy to George Washington, as the Sword of Liberty has been passed along through the ages. Laurens’ journey brings him an understanding that when the lessons of history are lost so are the foundations of freedom. It is a journey that many Americans, two generations removed from World War II and a generation away from the Cold War, have never made. 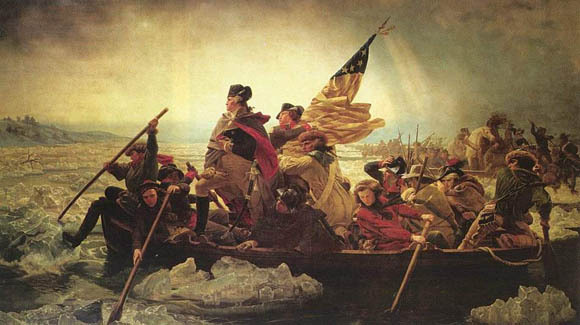 If the journey is taken, the treasure that is the Sword of Liberty may be found at the destination. For Americans who make the journey and look for the tools to reclaim the liberty they believe is both being taken and slipping away, the Founding Fathers left a metaphorical sword sheathed within Article V of the Constitution. Mr. Enns book tells people where to look for the sword. The decision to take it out of the constitutional scabbard or not will be up to them. Loren J. Enns relates a great adventure, and makes a crucial point. His message that Americans were given a tool by the Founders to use when the central government is no longer working within the restraints of the Constitution is brought home through the story of Major Laurens. It is great reading, both for the entertainment and the education. 1Available on Amazon.com at The Sword of Liberty. 2 The Declaration of Independence famously described the purposes of government as follows: “We hold these truths to be self-evident, that all men are created equal, that they are endowed by their Creator with certain unalienable Rights, that among these are Life, Liberty and the pursuit of Happiness.–That to secure these rights, Governments are instituted among Men, deriving their just powers from the consent of the governed …” The right to alter or abolish a government exists when the government becomes destructive of the foregoing purposes. 3This was among the most crucial elements of federalism, which divides sovereignty between the states and federal government. As more power has gravitated to Washington, the institutional protections of freedom have weakened.